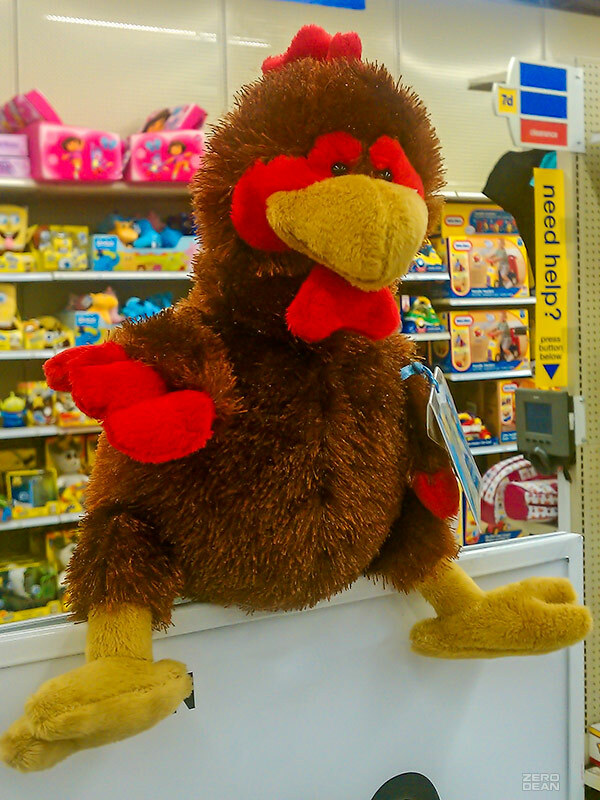 I met my first travel mascot — Plucky — in a Toys R Us in North Carolina on August 25, 2010. 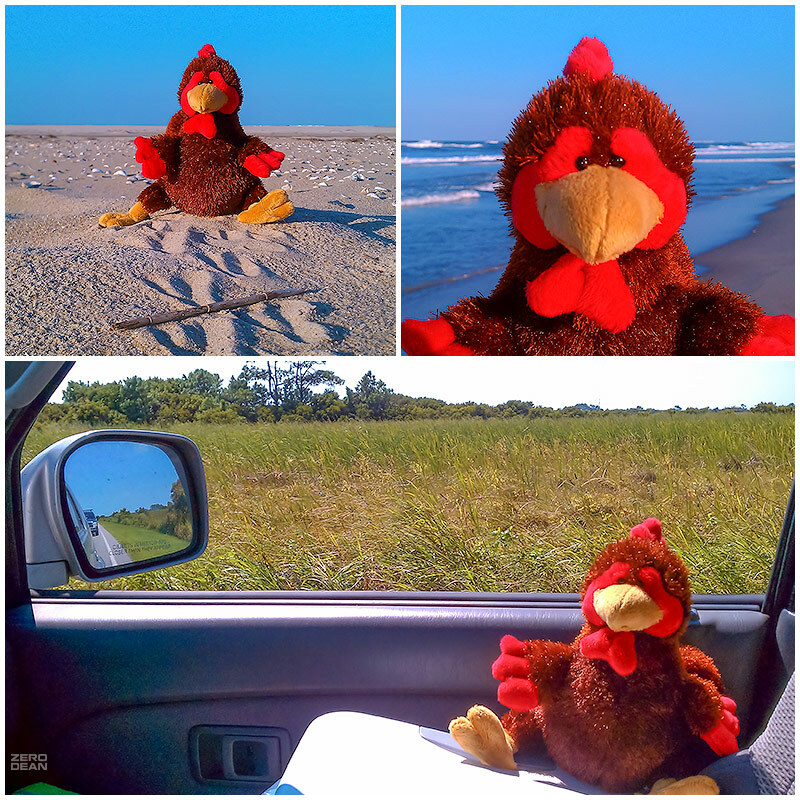 A rooster seemed like an odd choice in travel companion, but after what was turning into an extensive search, something about Plucky (he didn’t have a name then), seemed right. I saw potential. He had life — although it isn’t evident in this first photo I shared with my followers. Plucky started showing a bit more personality once I got him out of the store. I had no experience with travel mascots, so really had no idea what I was doing. Which is a remarkable coincidence, because this is exactly how I was living my life at the time. One difficulty after another, but trying to keep it together, because I was sharing everything on the Internet. I put on a brave face. 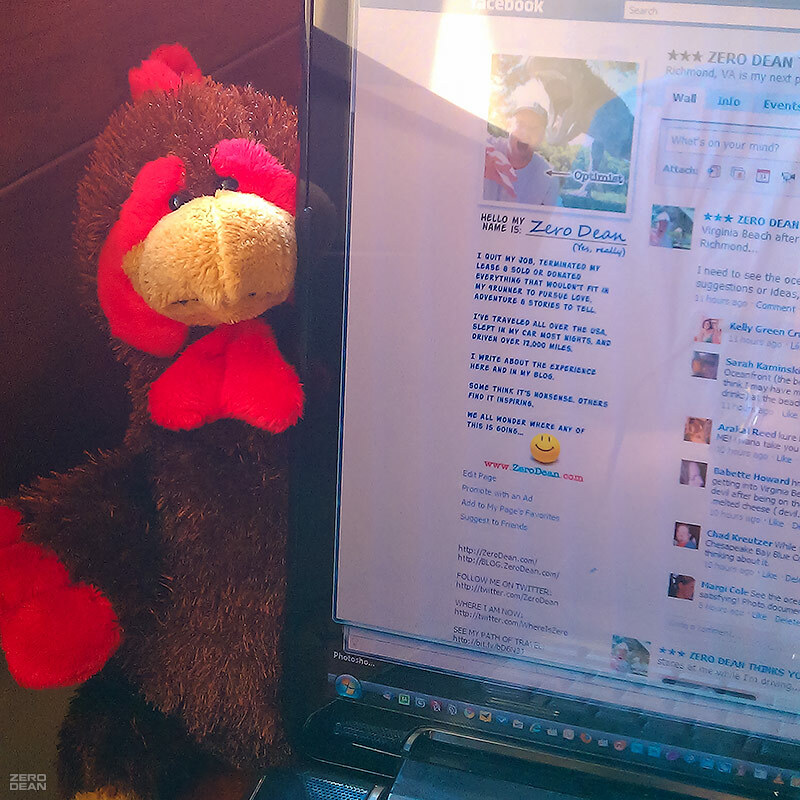 Unlike Moolander (mascot #3), Plucky seemed a bit shy at first. As evidenced in this photo. He mostly stuck to his own thing in the beginning. The quiet observer. But you could sense a sweetness about him from the start. I drove a lot back then. (We were stopped in traffic on the Outer Banks in the photo below). 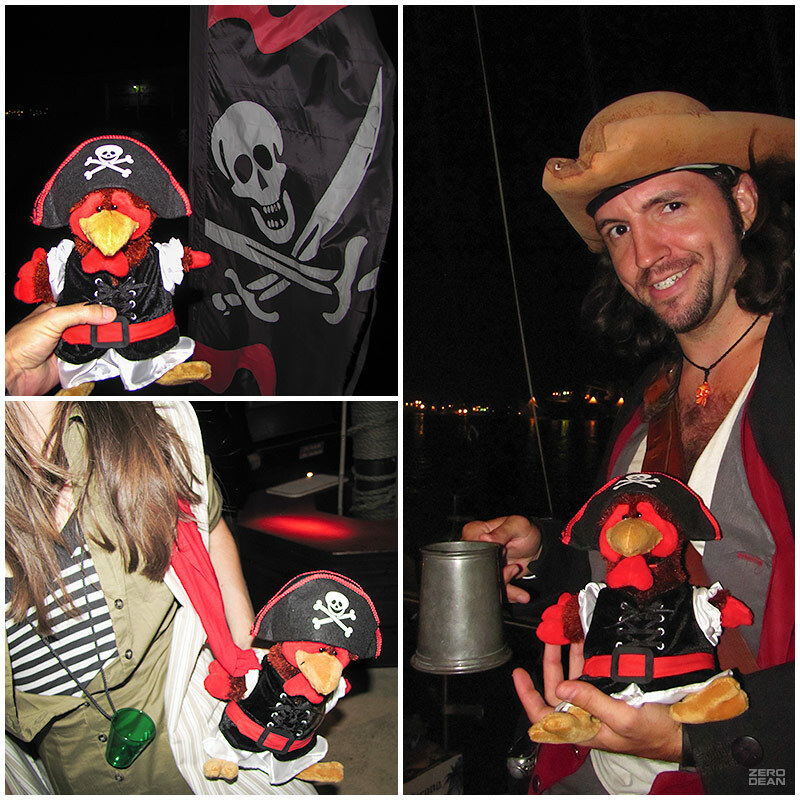 And then one day Plucky broke out of his shell by not only attending a pirate cruise in Baltimore, but doing it in full pirate garb. It sounds silly until you realize it was a hit with not only the ladies, but pirates, too. And there was rum. And dancing. And pirate songs. And the limbo. And skinned knees. Plucky wasn’t quite as shy after that. But I always felt like he needed a fellow friend. Someone with a stronger personality. And so, as I traveled, I kept my eyes open for a second travel mascot. Months passed.